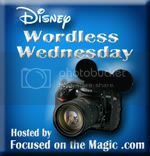 the Wordless Wednesday Blog Hop! If you hopped over, I invite you to check out my other posts, and please consider joining the blog or following on twitter. That looks amazing, Is it Tonga Toast? Yumm!! omg one of my favorite T's!!! I've never tried the Tonga Toast before. Where can you get it? You can also get it at the counter service restaurant at The Polynesian, Captain Cook's. We go there when we don't have time for a sit down restaurant but have to have our Tonga Toast! Btw, that picture made my mouth water and made me wish I could pop by for breakfast this weekend. Sigh. Umm that's the tastiest T there is. Thanks for sharing! Pure decadence!!!! I only allow myself this treat after a race; it absolutely lives up to its billing! Tonga Toast, haven't gotten to try it yet - but heard it is the best! My favorite place is Kona Cafe but I have never had Tonga Toast yet! Looks yummy! Oh that looks yummy! I could go for some Tonga Toast! !